STOP. DROP. SERVE. When the ‘Customer Experience’ forgets about the Customer. Earlier this week I came across my original typed copy of the 100+ page customer service training manual that I wrote for Liz Earle 10 years ago when I was their National Sales Manager*. If I say so myself, it’s bloody good. So admittedly, customer service has been at the forefront of my mind this week and yes I have high standards and yes I spot everything. Just putting that out there. The Mr and I went into Debenhams on Thursday. This was one of the worst shopping/customer service experiences I’ve ever had. We’ve ever had. Suffice to say it involved marching across the entire length of the shop floor to find someone that could actually serve us, almost begging them to take money off of us, card machines not working and us getting ‘sighs’ from staff who assumed we had simply overspent and were being declined. For overseas readers – the UK has just introduced the 5p plastic carrier bag charge – when the transaction was completed the assistant pushed the products across the counter towards me and said nothing. No offer of a bag, no thanks, just pushed the products towards me and stood there. The beauty department was full of people not being till-trained, people not being anything-trained and just a general, across-the-board lack of interest or caring towards the customer. As we were leaving, we overheard another customer saying ‘Excuse me, can anyone help me?’, resulting in Jim and I both spontaneously shouting ‘YEAH. GOOD LUCK WITH THAT!’ whilst she nodded at us with a knowing look of ‘UNBELIEVABLE.’. HMV – we had to ask for someone to serve us at the till. Everyone was on the shop floor stocking up, no-one was watching the tills. Sports Direct – where customer service goes to die. Never again. I’d rather spend more money elsewhere and keep my blood pressure at a healthy level. Where does all this crappy attitude towards the paying customer come from?? 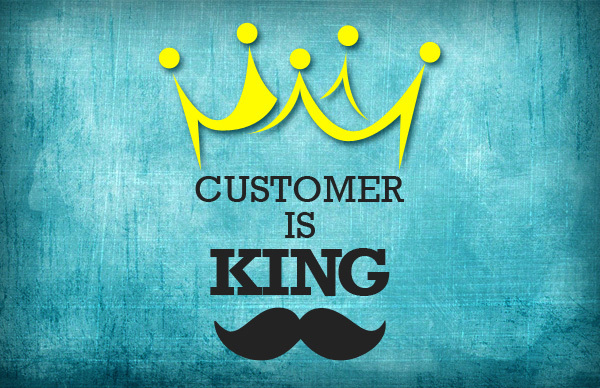 Serve your customer’s needs, not your shareholders. An unhappy staff member is not going to take care of your customers. ‘Enhancing the customer experience’ should be about exactly that. Not ‘enhancing your profits’. Where is the customer service training these days? Retailers/brands and restaurants are paying as low a salary as possible, usually to young kids, and putting people on zero hours contracts to save money for shareholders. They have little or no experience, zero to none training, and subsequently, for the most part, ‘could care less’ attitudes. Older, more experienced, qualified people are more expensive. And they don’t want zero hours. They want a commitment from their employer. It is not uncommon to have only the manager as an actual ‘full time contracted’ employee and everyone underneath them on zero hours. Shareholders and ‘the board’ need to wake up. An unhappy team makes an unhappy customer. And an unhappy customer takes their business elsewhere. In an economic climate where people are shopping more and more online and stores on high streets are sadly closing down at an unprecedented level, you have to offer real, tangible, excellent, knowledgeable customer service to keep your customers coming back. To walk into a restaurant and be told ‘You’re on the clock’, before you have even sat down, is outrageous. Take your head out of your arse and welcome your customers properly. That ‘inconvenience’ of a person in front of you pays your wages. It’s that simple. There were and are exceptions. Lush – Four staff on the shop floor on a quiet Thursday morning. One of them singing. No pushiness, just people going about their work and making it obvious if you needed something, they were there. They worked together as a team. One young girl showed me what I had asked for, another mentioned that I ‘might like this if you’re getting that’ – and I did – and bought that too. Anticipating that I would be waiting as there was one woman already being served by the one till open, a young male sales assistant sprinted from the front of the shop to the back and was behind the till waiting for me as I approached. I mean he ran. Adidas – they didn’t have our sizes available, and explained that they could get them from their external stockroom but that it would take 10 minutes – and apologised profusely for the inconvenience. Liberty – always on the ball. Cannot do enough for you. The Body Shop – noticeably appreciate their customers and listen to their needs. Sainsbury’s – the level of service at Sainsbury’s at our local branch is so superior to their local competition that they blow them out of the window. They are ALL OVER customer service. Please don’t mistake me for being a hard-to-please diva. I’m the first person to show empathy to a waiter/sales assistant having a bad day/struggling to get their job done. I know all the challenges of working double shifts, no stock, horrible customers etc etc I’ve been there. With bells on. I always make an effort to compliment great team members to management and praise them on social media. But I know that I am not alone from how quickly my twitter timeline went into meltdown with people having similar experiences. 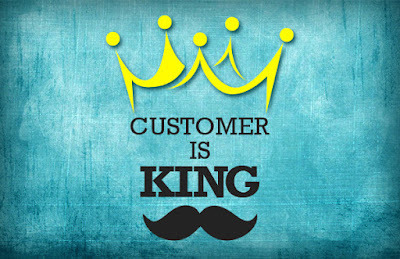 I just sense that the times have changed and the customer, once king, is now all too frequently an afterthought. The customer is not always right. But the customer is always the customer. Online retailers must be laughing all the way to the bank. *this is my 31st year in retail, the latter years were in senior management/director level before I started my consultancy and I’ve written training manuals in customer service for huge brands – I know customer service.